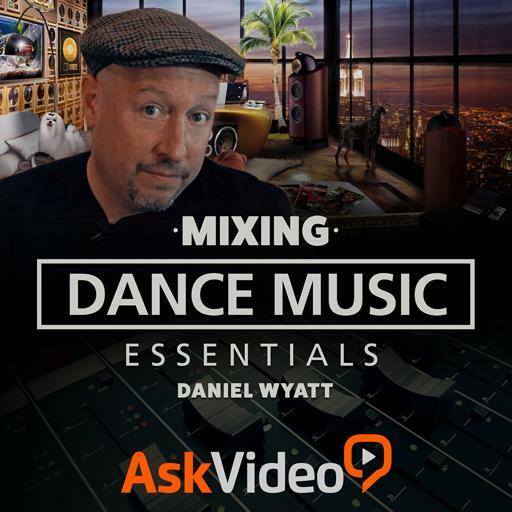 MixMaster 101 - Mixing Dance Music Essentials. When organizing a mix, it is a good practice to put the drums at the tops of the track list. True or false? Daniel always colors groups of tracks with the same color e.g., red for drums: True or False? It is a good practice to normalize the pre-master before sending it off to mastering. True or false? Compression is the process of increasing the dynamic range of a given signal. True or false? it is a good practice to bounce several alternate mixes rather than try to make the perfect mix. True or false? Trimming excessive lows from a kick is a good practice. True or false? Kick drum compression should always be as extreme as possible to take away all transients. True or false? Setting the kick drum level and mixing against is is a good practice in managing gain structure. True or false? Saturation adds “musical” harmonics to a signal making it richer and denser. True or false? A limiter can be used to increase the intensity of a kick drum. True or false? Lead melodies can benefit from low frequency reductive EQ. True or false? Panning helps create separation in the mix. True or false? It is not necessary to have a consistent mixing workflow to get consistent results. True or false? The Haas effect creates a wider stereo effect. True or false? Mix buss limiting helps to preview what the mix will sound like when mastered. True or false? The clap reverb decay should be as long enough to cover a whole bar. True or false? Saturation of the sub bass helps the sound translate well in many environments. True or false? Plate reverbs work well for lead instruments. True or false? EQ is both a corrective and a creative tool. True or false? Hi Hats are always panned right down the middle to interact with the bass. True or false? Kick drum saturation helps add body and character to the kick. True or false? Daniel's mix template always starts with .... on top? Side-chaining the sub bass to the kick is an important part of low frequency management. True or false? Reverb is natural and exists everywhere in normal life. True or false? The clap also benefits from reductive EQ. True or false?